Имате въпрос към Baan Ratchiangsaen? Разположен в Вуа Лай, Baan Ratchiangsaen е перфектно място да почувствате духа на Чианг Май и околностите. Хотелът се намира се на 2.6 km от центъра на града, поради което неговите гостите могат безпроблемно да се наслаждават на всички градски атракции. С удобното си местоположение хотелът предлага лесен достъп до всички градски забележителности, които задължително трябва да се видят. Предлагайки висококачествени услуги и широка гама от удобства, Baan Ratchiangsaen Ви осигурява възможно най-комфортния престой. Безплатен WiFi достъп във всички стаи, 24-часова рецепция, съхраняване на багаж, Wi-Fi връзка в общите части, паркинг са само част от нещата, които отличават Baan Ratchiangsaen от останалите хотели в града. Всички стаи се отличават с грижливо замислени удобства, което гарантира неповторимо усещане за комфорт. Освен това в хотела можете да се възползвате от множество предложения за приятно прекарване на свободното време. Когато търсите удобно и комфортно място за настаняване в Чианг Май, изберете Baan Ratchiangsaen, който ще се превърне във втория Ви дом. Чистый, уютный отель недалеко от южных ворот старого города. Tucked away to the south of the old town, this little hotel offers tremendous value. Good staff, comfortable room, we really liked it. shower water pressure is good. clean room and clean shower room. breakfast simple but just nice to start a good day. staff are friendly and helpful. Superior Room at upper floor is more value for money than Deluxe although not direct access to the pool in terms of the cleanliness because we found ants on the floor and in toilet and bathtub at Deluxe room. We stayed here two nights and enjoyed ourselves. The room was good but not great or fancy. It had everything we needed but if we compare it with the hotel, we stayed before and how much we paid for it, this place falls much behind it. Also the breakfast is not what we were hoping for. It's not a bad place, but I would consider another property next time first. We stayed here during the lantern festival in early Nov. It is an absolute gem. Away from the noise and crowds at Chiang Mai gate and night markets yet within easy walking distance 5-10mins. Room: We had a pool room, so was perfect for quick dip in the pool after a hard days sightseeing and eating awesome food. bed was very comfy, nice bathroom, in-room safe and complimentary water. Breakfast: It is complimentary but just it's just coffee, toast and fruit. Walk out of the hotel, turn left for about 20metres and there's a great local place to have fresh noodles very cheap. If you need laundry done, opp the local food place is local laundry, by the kg, will wash and deliver your washed clothes back at hotel reception. Staff: Always friendly and very helpful, recommending places to go see visit and to eat. Transport: Walk a few mins and hail the red jump in taxis. They only charge like 20 Baht. just tell driver where you are going. It is worth going to the 'Central Airport Plaza' .. there are international branded stores here, but in the basement is a great food court, local dishes for 30-40 Baht each. Would recommend the 'pig blood' soup and noodle .. too many dishes to choose from. 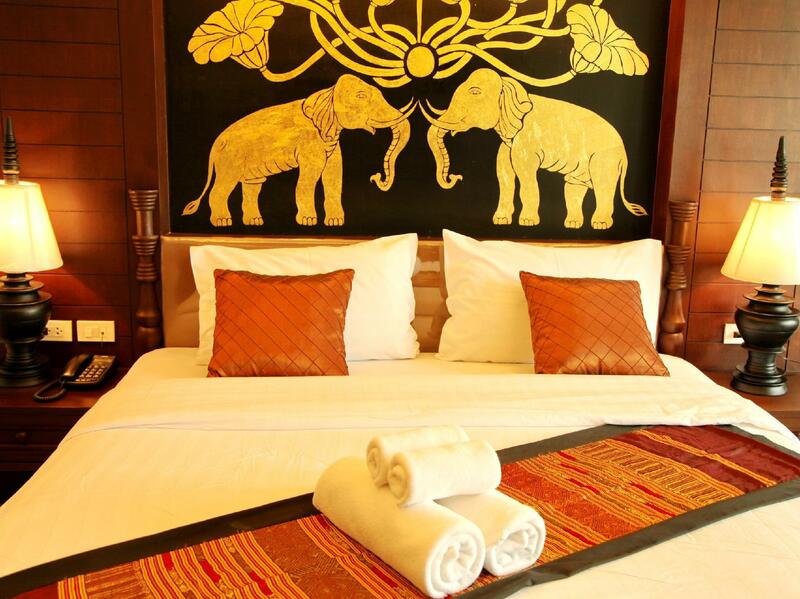 If you have never been to Chiang Mai or are on a return trip there, come stay at this place. Overall I was really disappointed. I booked my room for 2 weeks after reading really good reviews. Who writes them???? The main problem is the noise. There are 3 roosters that crow all night. Then there are many wild dogs barking and fighting. I was getting no more than 2 hours sleep each night. I felt so tired that I considered just leaving the hotel and going in search of somewhere else to stay. The staff were really good and to be fair they couldn't do anything about the noise. Definitely won't be staying there again and unless you are a very heavy sleeper then I don't recommend anyone else do either. Summary: It was a great place and I will likely stay here next time if I can get a similarily priced deal. I highly recommend it. Pros: - Large clean rooms. Very clean. -Swimming pool is clean and pretty. -Great staff (helped us book several trips. Also helped us with many other things). - close to the night market. - cheap (got a deluxe room for $33). - free simple breakfast. Cons: - my only complaint is that the shower is not designed well. It is tall and hard to climb over and leaks all over. Some cons that did not bother me, but might bother others: - breakfast is very basic (toast and 2 types of fruit) - the pool is small (fine with me, but might bother others). - in the mornings it can be noisy, but only if you sleep in and are a light sleeper. This hotel has all the ingredients of a great hotel. The pool is a little too small, the hotel itself is a little too far from the centre, the breakfast toast offering a little too little. All of this is reflected in the price. The staff could be a little warmer and more service minded, the security guard a little more friendly. I lost some clothes out of my room while staying in this hotel, so we will not return. It is a real shame as the hotel is nearly there on so many different points. At the start of the road is a food market for cheap eats and the lost book shop, by far the best second handbook shop in Chiang Mai, is also near. Convenient for the airport too. It is a real shame that more was not done to explain the missing item out of our room. ...all nice, but the terrasse on 2sd floor need some nice equipment ....than this hotel would be perfect. Run down ,worn greyish towels used to be white 3-5 years past use by date. Faucet loose falling over in sink, Sliding door only access very heavy and difficult to lock. Pool dirty low water level and out of order due to a plumbing issue. Booked 13 nights stayed 1 found another hotel. Overall we had a nice experience worth the money spent. Very clean hotel room. Staff could be a bit more informative. 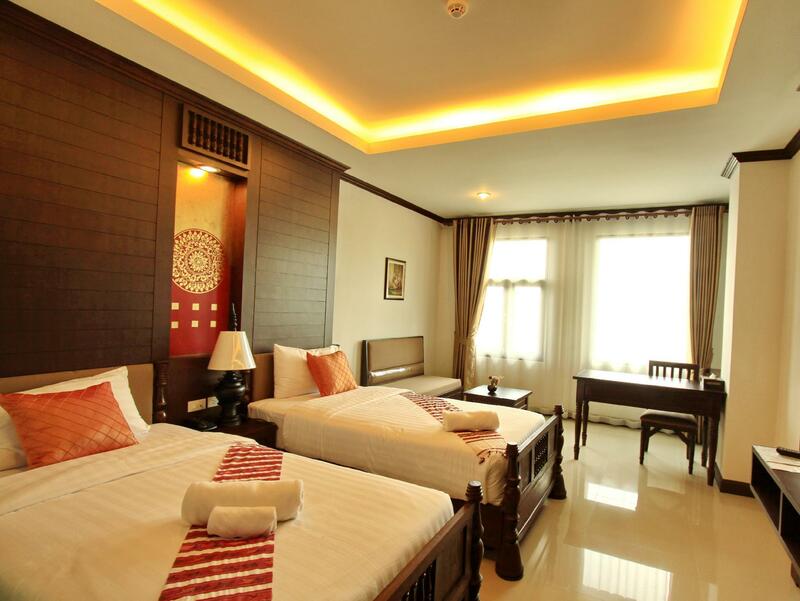 Good price and nice location hotel, but the water leakage and pressure problem must improve. 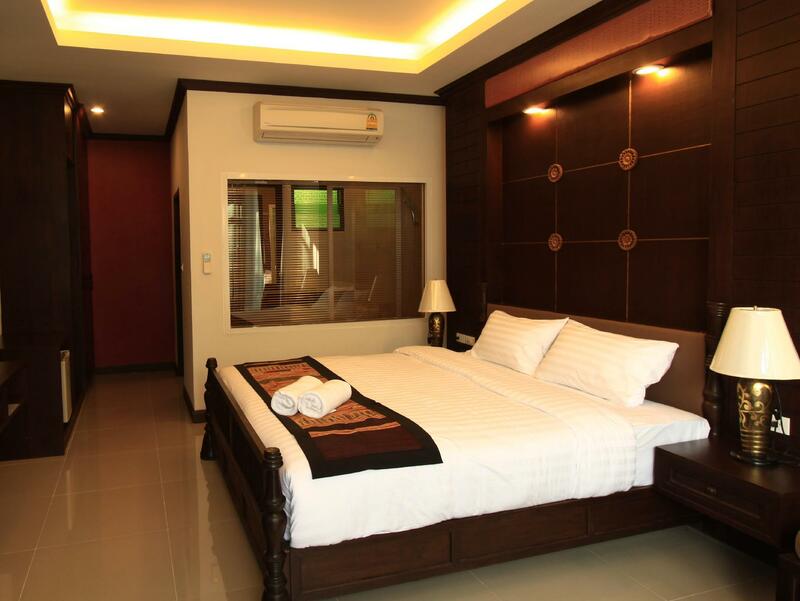 Deluxe room is spacious and very comfortable with patio access to the pool. Clean rooms Friendly and helpful staff Easy walking distance to old city Perfect size swimming pool Cons: Breakfast is v. basic and could be better. Needs more choices. We liked everything about the hotel. We did not have breakfast included and they were kind enough to provide a complimentary breakfast. The only thing is we wished we had booked a hotel closer to the center as we would need to walk and lose some time. Everything was really nice about our stay at the Baan Ratchiangsaen I would highly recommend it to any traveller but just be prepared for the odd bathroom arrangement with a big window into the room and don't put dry clothes on the edge of the bath platform. We stay here every time we come to Chiangmai! 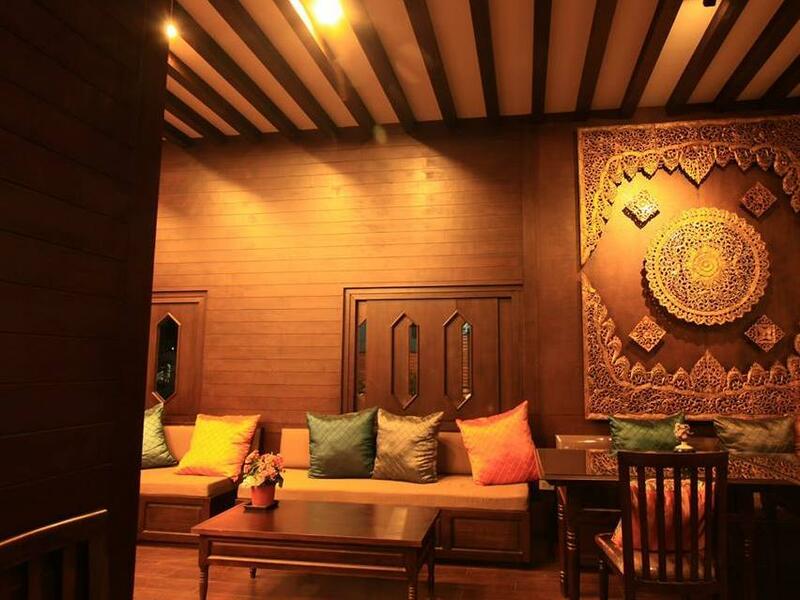 Wonderful clean comfortable small hotel with friendly efficient staff. Comfortable beds, lots of pillows, in room coffee. Small clean pool. Only two lounge chairs only negative. Able to dry laundry on site, coin washer across the street. Simple toast and fruit breakfast. Perfect value for dollar spent.